Sunday, January 28th 2018 marked the beginning of the 44th annual Catholic Schools Week—a week long celebration of Catholic education in the United States. 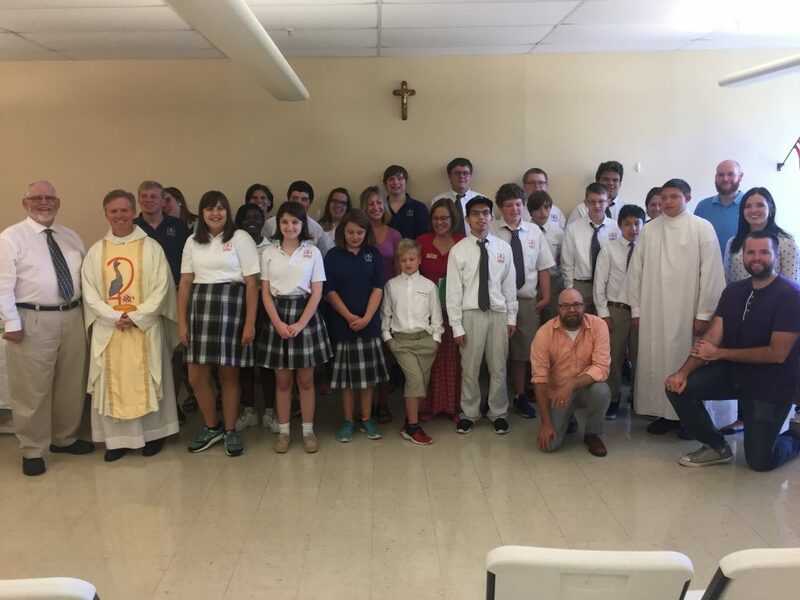 Schools typically observe the week with masses, open houses, and other various activities for families, parishioners, and members of the community. For Academy of St. Louis, this was no exception. Throughout the week, Academy of St. Louis celebrated Catholic Schools Week with a litany of events. Monday was crazy hat day and decorate your door day. Teachers and students decorate their classroom door and the hallway to match the theme of the week, “Angels in the Academy”. Wednesday was Parent Appreciation Day, children hand wrote letters and parents were thanked for sending their kids to Catholic school. The week was wrapped up with leaves; each student received a leaf and wrote their name, one person, one possession, and one opportunity the Academy has given them. Events during Catholic Schools Week are meant to help schools focus on the value Catholic education provides to young people. 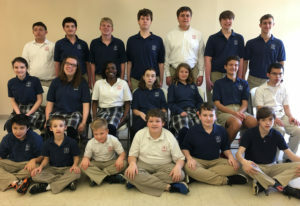 Students who attend a Catholic school receive a challenging, high quality academic experience with a focus on Catholic values and college preparation. 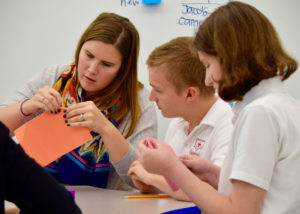 Teachers challenge students to participate in innovative learning, problem solving, and working in teams all while showing them how to live a life of faith. The list goes on and on. Academy of St. Louis is happy to be a member of the Catholic School Community and to celebrate Catholic Schools Week. It is a chance for us and the students to turn our attention towards our faith and what makes a Catholic education so beneficial.